Jaguar aimed to produce the first worthy Tesla competitor, then raised the bar in so many ways. The brand-new all-electric 2019 Jaguar I-Pace is not an exceptional car. It one-ups that by being a truly extraordinary one. While it wears the Jaguar moniker, it's fair to say that it's representative of nearly everything an all-electric Land Rover could offer. Marrying this with the I-Pace's sports-car-meets-SUV facade, athletic handling, exhilarating acceleration, and spacious, luxurious cabin makes for a true game-changer. Like any car, it's not without its faults, though they're few and far between. 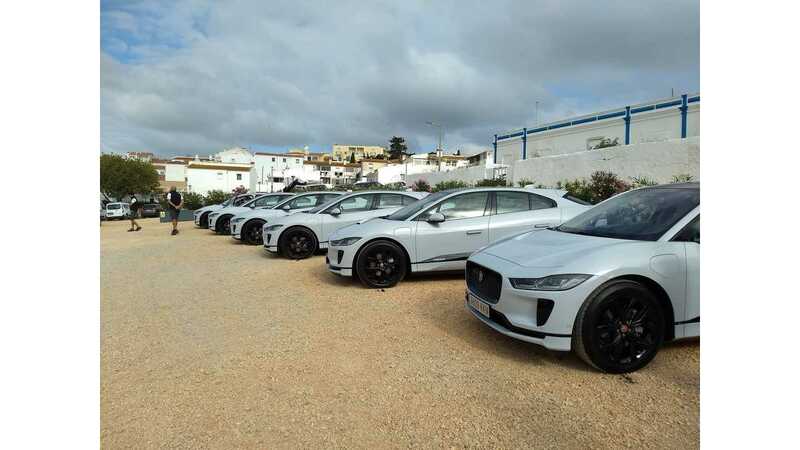 As many of you know, Jaguar has been flying multiple groups of journalists to Portugal over the course of several weeks for the I-Pace experience of a lifetime. We'll admit up front that the automaker put each of us up in first-class airline cabins with all the priorities and extras one can imagine. We spent two nights in Portugal; one at an exquisite luxury resort in Faro and the other in a hipster-friendly bistro hotel in Lagos, complete with its own private vegetable garden and orchard. At both locations, the food was impeccable, the service was unparalleled, and even the most lavish of incidentals were paid for by the automaker. To say that Jaguar treated us like royalty and organized the event with the utmost care and efficiency would be a ridiculous understatement. The automaker managed several teams of journalists with over one hundred cars in three different fleets (one red, one white, and one blue) spread throughout various areas of southern Portugal. It was a true mirror of just how dedicated and thorough the automaker must have been in preparing the I-Pace for launch. Just keeping all the cars charged proved monumental, since there's nowhere in the area suited for such a task. During the two days of driving, there was little we didn't have the opportunity to experience. After departing the hotel for our first day on the road, we worked through stop-and-go traffic on cramped streets through several small towns and more roundabouts than we cared to count. The drive continued with a short trek on the highway, followed by hours of navigating narrow, winding roads up and down gorgeous hillsides. Our final destination was the difficult, 4.7km loop at the Autódromo Internacional do Algarve circuit in Portimão. Day two was an incredibly scenic drive beside valleys and rivers on a well-paved road with plenty of room to allow the I-Pace to open up and glide seamlessly. As the trip wore on, the terrain changed to a long stretch of tight, unpaved gravel roadway. 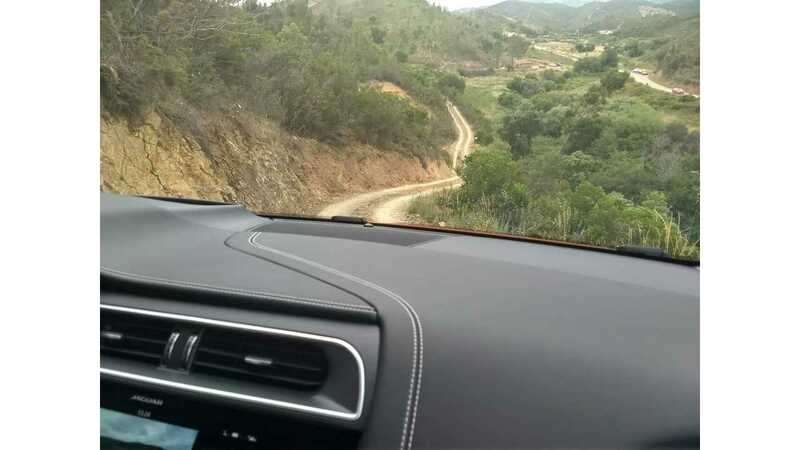 Early on in our trip, we learned that Jaguar is all about surprises, so as expected, both days had a "secret" course mixed in with the charted portion of the drive. Day one found us fording a river and then climbing a very steep, sandy hill (on 22-inch summer performance tires). One the second day, we traversed a small mountain on rough, narrow dirt roads with incredibly tight curves, no guard rails, and the occasional deep rut. The I-Pace took every bit of each task in stride. There was never a point that we felt it couldn't or wouldn't easily handle the mission. In fact, the I-Pace exceeded our expectations without hesitation, making us feel safe, secure, and confident at all times. This speaks volumes when we're talking about a car we'd only been in for a matter of hours, especially when considering the ridiculous level of prowess needed to tackle such rigorous excursions. We won't spend much time here. While this was the first drive for many, Jaguar has been pretty transparent with I-Pace numbers for some time, which we've shared on multiple occasions. The all-wheel-drive I-Pace features a 90kWh lithium-ion battery pack and will achieve at least 240 miles of EPA-estimated range. It can tackle a zero-to-60-mph sprint in 4.5 seconds and has a top speed of 124 mph. Its dual motors combine to churn out 394 hp and 512 pound-feet of torque, and its drag coefficient sits at 0.29, which is the lowest number Jaguar has ever achieved. In terms of charging, the I-Pace accepts 100kW or 50kW DC Fast with the CCS plug format, though its hardware is capable of more, and over-the-air software updates may drive the number up as high as 120kW in the future. At 100kW, you're looking at 40 minutes for a 0-80 percent charge, whereas at 50kW it will take about 85 minutes. As far as home charging is concerned, the I-Pace comes with an onboard 7kW charger that will get you filled up in about 13 hours via a 230-volt outlet. The I-Pace starts at $69,500. Keep in mind, we started our trip in the fully-loaded First Edition model with 22-inch wheels, which has an MSRP of $85,900. On the second day, we moved to the $80,500 HSE trim with 20-inch wheels. 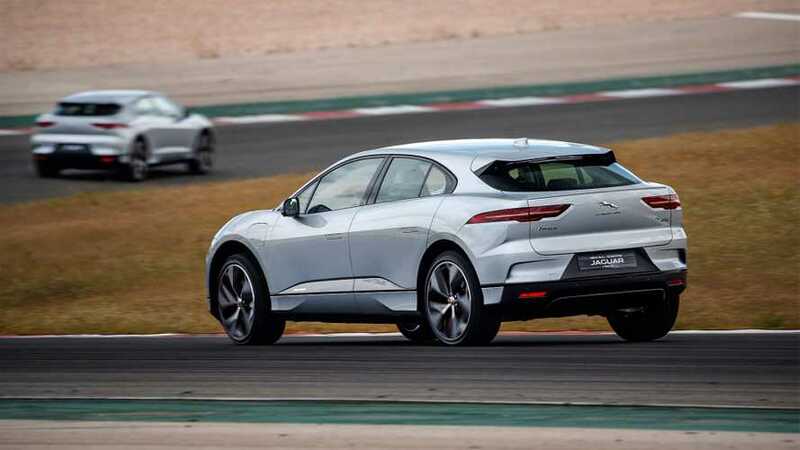 Needless to say, the I-Pace commanded a level of agility not often found in a car of its stance and weight (4,784 pounds), though I will point out that the 20-inch wheels are definitely the way to go and we can only imagine that the standard 18s may be an even better choice for most drivers. Its instant torque and potent acceleration were enough that the car would easily get away from you if you weren't in complete control of the situation. 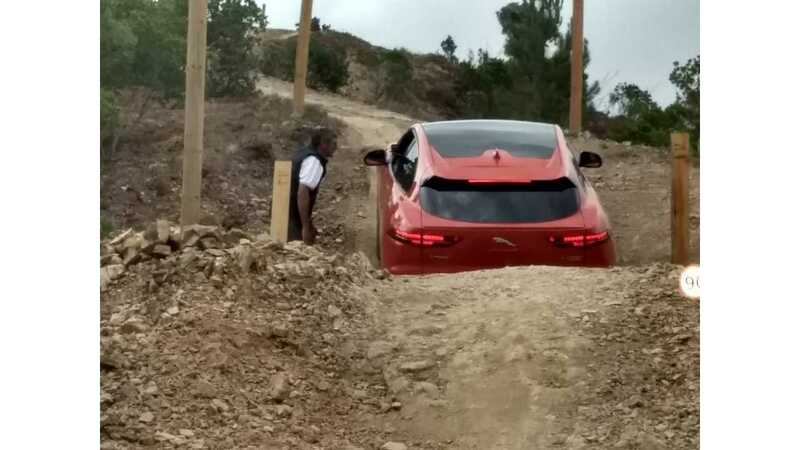 Regardless of the terrain, the I-Pace remained composed and coddling. Even after nearly an hour of off-roading (we accidentally diverted from the intended course and found ourselves braving a much steeper, more treacherous, and ridiculously bumpy two-track), our bodies weren't beat up as one might have expected them to be. We rarely touched the brake pedal to engage the friction brakes due to the I-Pace's strong regenerative braking. However, the roundabouts proved trying at times as locals didn't like to slow down or stop as expected. The few times I had to brake hard to avoid an incident, I was impressed with the how quickly the heavy car came to an abrupt halt. The same was true of the brakes at higher speeds when we had to deal with sharp, blind curves at the track. The steering feel was tight and predictable, not unlike any respectable European sports sedan. Despite the I-Pace's raised stance, large tires, and massive weight, there was no obvious body roll and it was much more adept at carving corners than I had imagined. The seats were some of the most comfortable and supportive I've sat in, as well as highly adjustable. We spent many hours in the car with few breaks over the course of two days, but I never felt an urge to stop and exit the car to stretch out. The shape and cab-forward design of the I-Pace afforded plenty of head and legroom in the front and rear seats. I'm not tall, but my driving partner, along with many of the other journos, was much taller. None of them seemed to experience any issues. However, entering and exiting the I-Pace required a bit of ducking strategy to keep from knocking your head, but once you're in the cockpit, there's an open feeling. The I-Pace's trunk provides generous room for cargo and the seats fold down to offer a more expansive area. With the seats up, the I-Pace offers 25.3 cubic feet of room. Fold them down and that number grows to an impressive 51 cubic feet. In addition, the I-Pace has a small frunk. The I-Pace offers six USB ports, an adaptive suspension, adaptive cruise control, lane tracking, lane keep assist, a head-up display, over-the-air software updates, and a unique Dynamic Active Sound Design feature. The dynamic audio is a computer-generated motor sound that can be dialed up depending on your preference. While it's difficult to explain, I'll say that it sounded like a growing "whoosh" that mutated to more of a roar when you stepped on the pedal in its highest setting. For those who appreciate the silence of electrified powertrains, there's also a noise-canceling "Calm" setting that makes the cabin increasingly serene. The I-Pace's navigation system informs you of what your battery level should be at your destination, as well as waypoints in between. It also offers convenient charging stations along your route and shows what your battery level will be at each location. The car's AI learns your driving habits and factors in terrain, traffic, and weather conditions to make the most accurate determination of battery level. 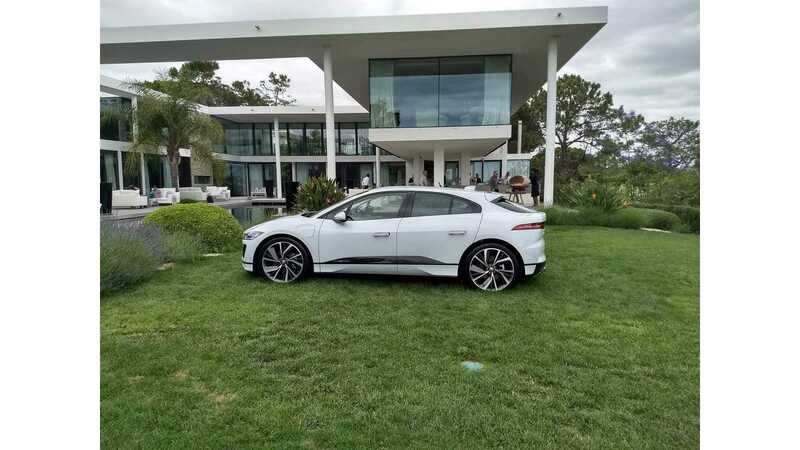 Although our I-Pace didn't have the two weeks it takes to learn our driving habits, and we taxed the heck out of it on our relentless journey, we found the estimations to be quite precise. Jaguar also offers an Adaptive Surface Response mode in the I-Pace. It's essentially an off-road cruise control that handles difficult terrain. You simply steer the car and toggle the speed up and down on the steering wheel while it figures out how to manage the conditions. This came in very handy as we were lined up on a sandy hillside with our noses pointed skyward. Seeing out the front of the vehicle was virtually impossible, and the last thing I wanted to do was take my foot off the brake pedal and hope I could achieve forward traction. If I was unsuccessful, I would have rolled back into the trailing car. With the setting on, I just lifted my foot off the brake and the I-Pace proceeded up the hill almost as if it was on flat pavement. The I-Pace includes a high and low regen setting. In high, you can drive in most conditions and situations with one pedal. The low setting is best-suited for freeway driving. The I-Pace also features a creep mode, which makes driving feel more like a traditional gas-powered car. When you take your foot off the brake, the car will slowly proceed forward without having to apply the accelerator pedal. Finally, Jaguar took great care to address heat management in the I-Pace, which is critical when it comes to EVs. It employs three independent cooling systems to manage temperature in the cabin, the battery pack, and other related electronics. It was honestly difficult to find much not to like about the I-Pace. However, every car has its faults, and our job is to be critical. My biggest issue may not actually impact many buyers. As I stated earlier, I'm a short man (about 5'5" to be precise). No matter which position I chose with the driver's seat and steering wheel, I still felt like the top part of the wheel and the curved section of the dash were obstructing my view. Added to this, visibility out the small rear window is subpar and the rearview mirror seemed forever dim. Thankfully, the backup camera was my savior. I experienced a similar issue with the size, position, and adjustment of the sideview mirrors, which made it awkward for me to see as much as I would have liked. While the Touch Pro Duo interface in the I-Pace is not bad, especially for Jaguar, and there are much more arduous systems out there, I found it lacking for several reasons. The car has two touch screens - the top 10-inch screen controls most features in the car, aside from climate, which is reserved for the bottom 5.5-inch screen. I found it taxing to search through menus for common features and had to take my eyes off the road often. On a few occasions during our trip, we had to pull over to search for a setting. At times, we returned to the road never having found what we were looking for. Even the setting for high and low regen is buried behind multiple menus. This was problematic since the high regen was not preferred once we entered the highway. Jaguar did tell us that while there's no way to add a button for the feature at this point, certain controls may be moved to a more obvious location on the interface. The bottom screen is nestled between physical dials for climate control. One would think that the tactile experience of still having some physical dials would be helpful. However, the pull-out, push-in, dialing nature of the controls was something that we never got a handle on. Additionally, every time I reached down to adjust the temperature, other settings kept changing inadvertently. Over time, I realized that as I was grabbing the dial with my thumb and index finger, my other fingers were resting on the 5.5-inch touch screen and activating various settings at random. Fortunately, the I-Pace's Amazon Alexa Voice Assistant can be used to control many features, and according to Jaguar, Apple CarPlay and Android Auto will be available in the vehicle in the near future. As with any new technology, a few days is not enough time to get properly acclimated. Over time, we feel confident that most I-Pace owners should become comfortable with the interface. The Jaguar I-Pace is a true gem when it comes to EVs, but, more importantly, it's a fantastic car by any standard. 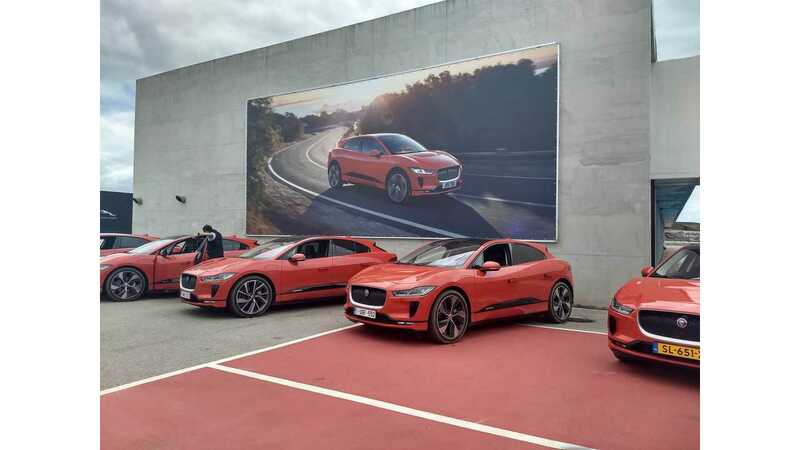 Hopefully, people in the market for a vehicle of this caliber will realize what a game-changer Jaguar has created, and the automaker will be able to produce enough to keep up with demand and make an impact. Our fear is that, like most electric vehicles, the car won't be readily available or manufactured in very large numbers, at least initially. Let's keep our fingers crossed that Jaguar has what it takes to beat these odds, even if it takes time. The automaker deserves to sell a wealth of copies of the I-Pace as much as the auto-buying public deserves to experience all it has to offer. Suffice it to say, Jaguar has successfully delivered us the future.